Jimmy Carter's weakness gave us the Mariel boat lift. Obama's doubling down on Carter's ineptness by welcoming trainload after trainload of immigrants being hauled up out of Central America. Unlike the Carter era, where our borders remained intact and secure, the interior areas along our southern border are becoming zones of lawlessness overrun by the most undesirable of "immigrants." Linda Vickers never wanders away from her house without her trusty canine companions - Blitz, Elsa, Schotten and Tinkerbell. The dogs provide a sense of security in a land of insecurity. "The safety factor out here has changed," Vickers said. Today, our so-called leaders in Washington are too deluded by their political correctness, too insulated in their DC cocoon, too eager to utilize every crisis to instigate some kind of change to give much thought to the actual danger being unleashed. Where's out Secretary of State, why's he not dealing with this international border crisis? There's probably another upcoming climate change conference he's prepping for. How many people around today would even know what it is? 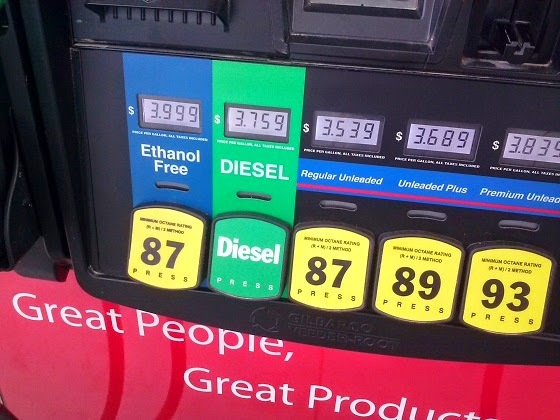 The new RaceTrac gas station near me has an additional option on its pumps. In recent years, I've had several pieces of lawn equipment require service or die premature deaths from what I suspect was ethanol contamination. Yes, the pure gas is more expensive, but I may give it a try in the lawn gear this summer. Gun maker PTR Industries honors its new home state with a commemorative rifle after exiting anti-gun Connecticut. You've probably seen the pictures. ISIS now parades former U.S. military hardware it captured from Iraqi forces. ISIS. Who heard of 'em two months ago? Back in January, Obama shrugged off talk of resurgent al Qaeda spin-offs in Iraq. Comparing them to a "jayvee team", Obama didn't seem to see much of a menace when asked about them in an interview earlier this year. The uppity elites decided to unleash on Walmart this week. So Walmart took out a red pen and decided to suggest a few revisions. Not posting the link necessarily to make the case for Walmart. But I think it's a good example demonstrating there's more to many stories than what you see written by a mainstream media. There are two sides to every story, they used to say. Increasingly, mainstream media seems more interested in pushing an agenda than they are striving for fairness or balance. I don't care what you call it, but "economic recovery" it ain't. From Marketwatch: "Americans are going into debt to afford food, gas"
When the talking heads tout spending figures as a sign the economy's getting better, how many bother to account for the debt incurred? May well be we're just mid-cycle into another unsustainable bubble. A year or two ago, I looked around for an introductory electronics course. Trade schools and community colleges may offer courses in electronics service, but these seem light on theory, light on actual knowledge to effect field repairs, and seem to offer little more than certificates in component swapping. Missed my chance when I had it. Used to be community colleges almost always taught basic electronics. And you could actually build stuff from raw components once you logged a semester or two. Wish I could find courses like that today. I think today's students are missing out. Not sure they understand the technology. Maybe what schools used to teach in now obsolete. But understanding fundamentals, and being able to practice them without advanced degrees, should never go out of style. Guns. The Left still hates 'em in civilian hands, and will make up ever excuse possible in an attempt to provoke anti-gun emotions. Here is a truth so fundamental that it should be self-evident: When legitimately constituted state authority stands down in the face of armed threats, the very foundation of the republic is in danger. And yet that is exactly what happened at Cliven Bundy’s Nevada ranch this spring: An alleged criminal defeated the cops, because the forces of lawlessness came at them with guns — then Bureau of Land Management officials further surrendered by removing the government markings from their vehicles to prevent violence against them. Has the writer, Rick Perlstein, taken a look at the fundamental threats to our national 'constituted state authority' along the southern U.S. border? Does Perlstein get steamed when the president unilaterally changes laws or ignores them altogether? Thomas Jefferson seemingly had no problems with the kind of rebellion seen last spring at Bundy Ranch. Jefferson was a fan of little rebellions, perhaps applauding their successes, but certainly appealing for leniency when they failed. I hold it that a little rebellion now and then is a good thing, and as necessary in the political world as storms in the physical. Unsuccesful rebellions indeed generally establish the incroachments on the rights of the people which have produced them. An observation of this truth should render honest republican governors so mild in their punishment of rebellions, as not to discourage them too much. It is a medecine necessary for the sound health of government." Of course, Jefferson was also a fan of firearms, and on another occasion wrote to a relative that long walks with a gun offered better exercise with less risk of injury than playing ball sports. 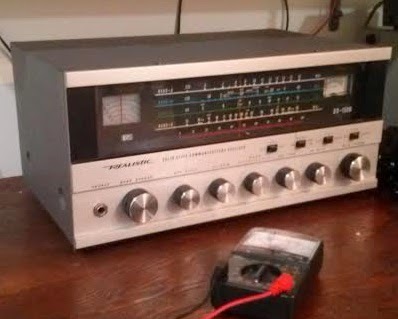 I was fiddling around with an early 1970s Radio Shack DX-150B shortwave set I bought off Ebay the other night. It arrived an extremely poor performer, I was afraid it would need a major overhaul. But after simply cleaning the contacts on the switches and relays, the darn thing rocks. Now, I have to trim the gain way back to get Radio Havana. The signal around 6MHz overloads the set. Over the weekend, Radio Havana hosted a program called "Music with a Message." 1960s early '70s rock tunes with peace and anti-war themes seemed to dominate. Graham Nash's "Military Madness" was among them. Can't remember the last time I heard that on the radio. I miss the old days of Commie propaganda radio. 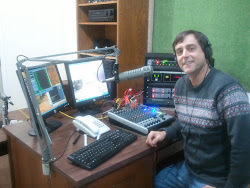 Radio Havana is one of the last of the semi-hardliners. Listening to Commie propaganda broadcasts as a kid, I do believe, helped me to discern the crap government is trying to feed us today. Among my intermediate goals is to put up a dipole or random wire antenna pointed at the middle east. Would love to hear stuff coming out of the Arab states or countries in the Med (at least those still on shortwave) But for now, my shortwave listening antenna is the rain gutter on the back of my house, and it's not really a bad performer. Most things on shortwave are now available on the Internet. Still, there's times when something unique or unexpected can pop up. And it's nice to know I have alternatives to receive a wide variety of information should we have find ourselves having to deal with widespread or prolonged Internet outages. On the southern U.S. border, illegal immigrants who move freely. It's the media that's reportedly being denied access. Whatever happened to press protections under the First Amendment? Congressman Paul Ryan had a mouthful to say this morning about the IRS. C'mon GOP. Your supporters love the theatrics and you may finally have found the courage to speak clearly, but give us something besides just talk. "This is as if the public is saying, hey buddy, your presidency is over." - NBC's Chuck Todd on new Obama polling results. The poll was conducted for the NBC in conjunction with the Wall Street Journal. Team Obama brags of capturing the one of the suspects who planned the Benghazi attack. The same Obama team's been telling us for nearly two years that the attack was an unplanned, and simply rose out of a demonstration that got out of hand over an Internet video. An extra 275 troops for embassy security. And maybe some drone strikes. That's Obama's Iraq action plan. Former U.S. detainee is behind ISIS offensive in Iraq. What do they want? A Caliphate. When do they want it? Now. "Now even Al Qaeda thinks they are too violent." Putin sends tanks into Ukraine to better arm his separatist allies. An apparently home-grown Islamist army most of us hadn't even heard of a week or two ago appears to be capturing Iraqi cities and making a beeline for Baghdad. Here's a flashback from 2010: Joe Biden predicted Iraq would be "one of the great achievements of this (Obama's) administration." If things were going so well in 2010, will Democrats still blame Bush if Baghdad falls? It's Friday. Don and I will do a program today. Usual time. 1:00 pm EDT. In driving around this week, I took special notice of where I recall the last of my area's TV and electronic repair shops used to be. Best I can tell, they've now all gone away. Victims of advancing technology and today's era of disposable electronics. 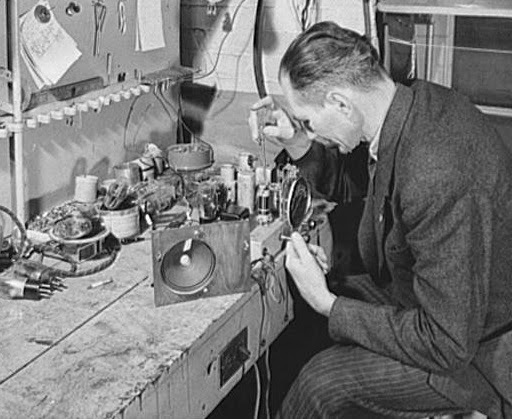 Older electronics were designed to operate for decades. Most of today's devices seem designed to be obsolete in just a few years, and if they fail, you tend to go shop for a replacement. Things like computers, smart phones and devices like iPads are a must in this day and age. But what would your communications capability be if these devices were to die, and there were no replacements available? As a kid, I enjoyed poking and prodding inside old radios of the era (more accurately, the era that preceded my own), and now some 40 or more years later, I find myself taking a renewed interest in old-school communications technology. Admittedly, a thirty or forty year old radio can't put you on the Internet or make calls through cell towers. But they can still offer robust communications access as they were intended to do when they were new. some brushing up, if not an outright reeducation when it comes to how electronics work. But there's plenty of old radios, test gear, and more that are still up and running after 30, 40 or even more years of service. And these older devices, lacking micro-components like chips or teeny-tiny integrated circuits, remain self-serviceable for many people who possess only a hobbyist level skill set. That's part of what I like about older gear. They provide solid platforms to learn basic electronics. While microchips present themselves as little more than tiny components filled with magic, tracking the circuits in old style electronics with identifiable components like transistors, capacitors and resistors can enhance one's electronics understanding of devices - both old and new. I miss the days when everyone seemed to know at least someone who understood electronics and could affect repairs on household items when needed (I'm talking repairs beyond mere module swapping). Electronics seem to be one of the areas where, as a society, we're losing our general understanding of how things work, grasping the concepts behind the switches, menus or remotes. Our knowledge has declined to something where most people have little concept of the difference between technology and magic. Noted by the National Review: Speaking to users of the blogging platform Tumblr, President Obama praised Australia’s confiscation of firearms. First off, who besides the Times sees House Republican leadership solid in its opposition to Obama? Speaker Boehner and the GOP elites talk the game, but actions fall short. Take immigration reform for example; the touted GOP leadership position is only a slight rebranding of what progressive Democrats are trying to sell. Yes, the Republicans often talk the opposition game. They just don't get around to actually carrying it out. Labeling Cantor a conservative is also a stretch. At least for many of us who live outside the Beltway, and beyond the influence of the New York Times. Cantor was just another Republican, albeit a powerful one, more interested in personal and party power than he was in putting America back on track. When we see Republicans put distractions like immigration reform back in the box, and refocus on key issues like the unsustainable runaway federal budget, and do so in a meaningful way, maybe then we can go back to applying the conservative label to the GOP. The U.S. Border Patrol seems to have morphed into a sort of Welcome Wagon for immigrants. Eric Cantor, one of the high profile "mainstream" GOP elite was crushed Tuesday in a Virginia primary. Although Cantor is a conservative and has been close to the Tea Party, "in the past two years they've been angered by his shift to support for some kind of immigration reform. Brat made that an issue, saying Cantor was no longer a real conservative," NPR's Don Gonyea says. When you read that the killer couple in Las Vegas were participants in the spring uprising against the Bureau of Land Management at Bundy Ranch, you should know there's more to the story. Even the Associated Press now reports that the Millers were asked to leave Bundy Ranch after showing themselves be be out-of-line with the group gathered there. "Not very many people were asked to leave. I think they may have been the only ones,” Ammon Bundy is quoted as saying in an AP report. "Onlookers allegedly steal groceries from woman killed in crash"
Attorney General Eric Holder has announced creation of a new task force to combat terrorism by what are termed homegrown radicals. Though the original task force, which was little known, focused mainly on right-wing zealots, Holder’s version is aimed at U.S. citizens or visitors radicalized via the Internet. Holder said the government will continue to fight terrorists abroad. They didn't manage to work specific mention of Islam into the story. But it seems clearly written between the lines. "President Obama's decision to swap five high-ranking Taliban prisoners for one sergeant who allegedly deserted his post could be a metaphor for this administration's entire foreign policy: give up a great deal, get little or nothing in return, and look foolish in the process." - from a letter to the editor at the Wall Street Journal. Don and I skipped doing our radio show again Friday (June 6), I was at the airport picking up my daughter as she arrived home after a trip to Italy. Don and I expect to be back with a program next week. I've also been busy with rental property, getting at least one now-vacant property ready to put up for sale, and a couple of others ready to re-rent. 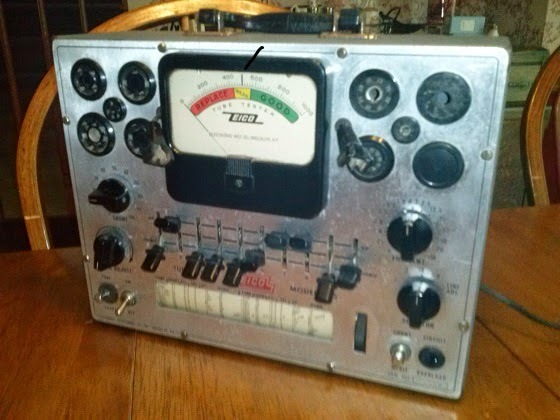 And I've been checking out and buying some older used amateur radio gear, pulling together elements to get a basement "ham shack" up and running. It's something I've kinda sorta wanted to get around to for about 40 years, and I've finally made time. In a related move, I'm also researching new digital police scanners (though most local police can't be heard because their transmissions are encrypted, fire and EMS still operated in the clear with digital signals). I should have some additional thoughts on scanners in the coming weeks. I may hit the hamfest over in Marietta later today - about an hour's drive from my 10-20. Jacksonville City Council President Bill Gulliford has sent a letter to Cox Media criticizing the decision to dismiss five anchors at WTEV-WAWS, the Jacksonville Daily Record reports: In a letter to [Cox Media Group President Bill] Hoffman dated today on council letterhead, Gulliford said the move by Action News is "getting a lot of push back in the community." Germans are pricing energy out of reach. Obama would like to put the same burden on Americans. California's Senator Barbara Boxer's cooking up the latest gun control scheme. Boxer wants to make it possible for family members to take out "gun violence prevention warrants" that would deprive others of their Second Amendment rights. Boxer plan apparently relies on subjective opinions of family members. What ever happened to due process or - at minimum - professional evaluation? Heaven help the family who has a rabid Bloomberg disciple or some other hoplophobe in its midst. Update: Post initially attributed proposed legislation to Dianne Feinstein, not Boxer. Sorry 'bout that. The Obama administration is about to expand its war on coal, with the EPA making it a wider war on electrical generation. The Environmental Protection Agency will propose mandating power plants cut U.S. carbon-dioxide emissions 30% by 2030 from levels of 25 years earlier, according to people briefed on the rule, an ambitious target that marks the first-ever attempt at limiting such pollution. The move comes before we know the full results of electric plant closures mandated by the last round of EPA rule-making. The Obama administration seems to place no priority on having enough electricity to meet the nation's needs, or enough to keep consumer prices low. The bottom like results of these increasingly stringent controls will be supply shortages and higher consumer costs. Get ready for electric rates that make summer air conditioning unaffordable. It may not happen this year, but it may not be too many years away. We probably won't feel the full brunt of these policies (those enacted and those now proposed) until after the 2016 elections, and that's likely by design. CNN reports Chuck Hagel is dodging questions about the soldier released in a prisoner swap with the Taliban. And some soldiers and veterans groups say further investigation is in order. The swap looks more and more like a win-win for the Taliban. Was a time, Germany's where more American immigrants came from.